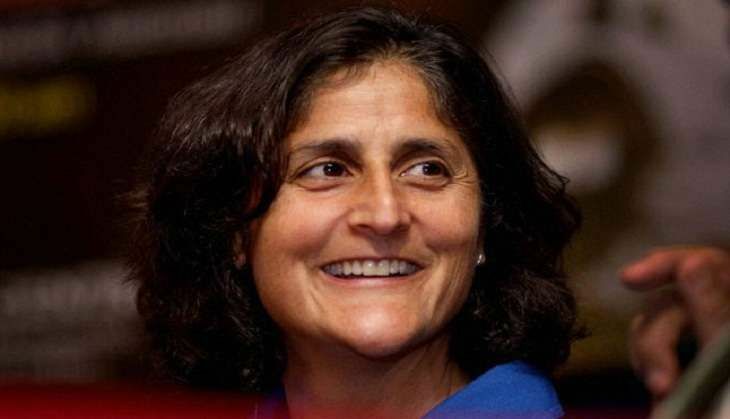 On 6 June, during Prime Minister Narendra Modi's visit to the Arlington National Cemetary, American astronaut Sunita Williams talked about late Indian-American astronaut Kalpana Chawla and reminisced about their friendship. "She was a great friend, a mentor and someone you can always sit down and have a cup of tea with. Great person," she said after PM Modi laid a wreath at the Tomb of the Unknown Soldier and the Space Shuttle Columbia Memorial at the Arlington National Cemetery. Williams and her father joined family members of Kalpana Chawla to attend the wreath laying ceremony. Taking about her meeting with Prime Minister Modi, Sunita said, "He primarily spoke to my father, but to me he just said to please come and visit India. I am very honoured to have that invitation." When asked about Indo-US scientific collaboration, Williams said, "Right now that is not my field of expertise. I am sort of heads down in a new space craft that were building here. But, have had the opportunity to go to India and talk to many people who are very interested in space collaboration and the space adventure. She added, "So, I have a feeling, I know, I think most people in India are excited about space as well as about how we are excited about space here." NASA Assistant Director, who was also present at the event, said, "We have a wonderful collaboration of NASA and ISRO, never been stronger. All the way to Mars." After meeting visiting Prime Minister, Williams' father Deepak Pandya said that the Prime Minister asked him to visit India. "He said to come to India again and visit. And I said I will certainly do. If god willing, if my health remains good. Who knows (sic)," he concluded.